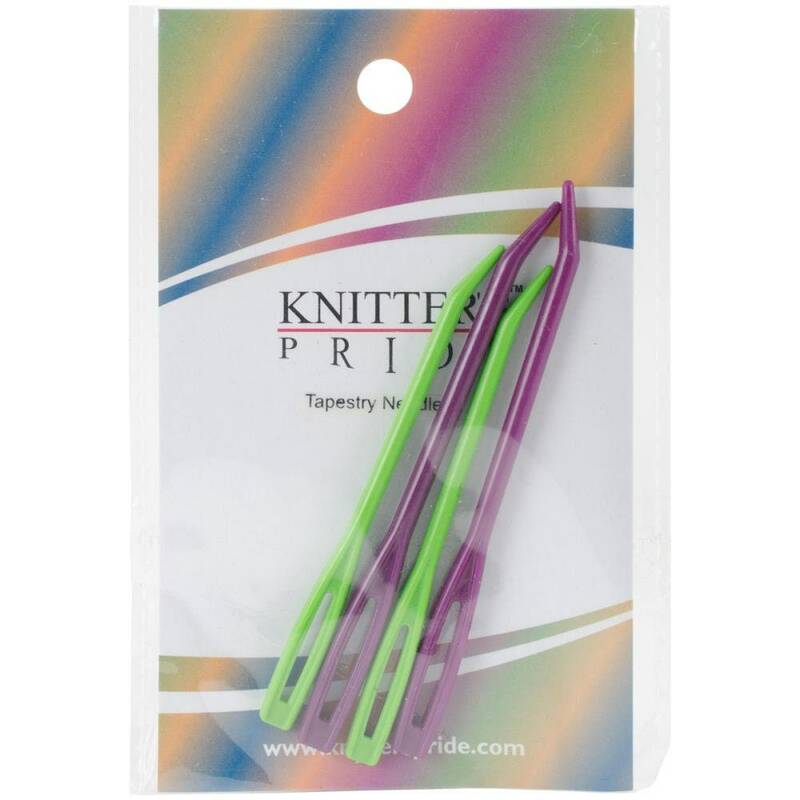 Knitter's Pride-Tapestry Bent Tip Needles. Great for finishing up knitting and crochet projects! The bent, blunt tip lends ease when using with yarn. 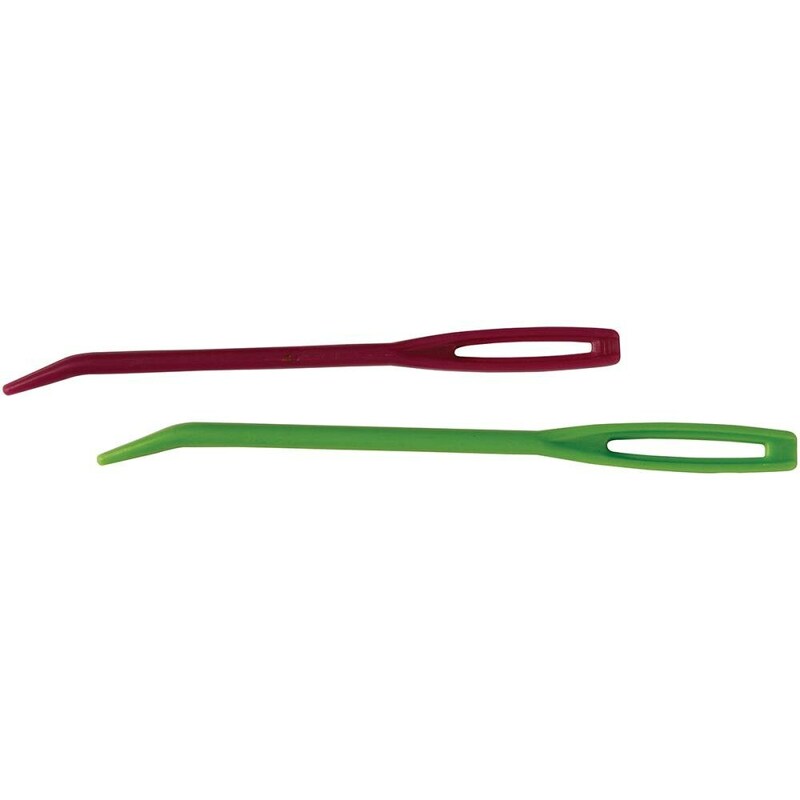 This package contains two 3-1/2 inch long bent tip needles and two 3 inch long bent tip needles.